After releasing two intriguing quasi-updates to last year's flagship Lumia 920 phone, Nokia finally has its true Windows Phone successor: the Lumia 1020, which packs a 41-megapixel PureView camera. Despite the extra camera power, the phone looks and feels thinner than the too-bulky Lumia 920.The sensor and camera lens protrude from the back in noticeable fashion, but not so much that the phone becomes unpocketable. The Lumia 1020 has a 4.5-inch screen and a 1280 x 768 resolution, 2 gigabytes of RAM, and a dual-core Qualcomm Snapdragon S4 chipset. Aside from doubling the RAM, it's basically the same as Nokia's previous Lumia phones. These non-camera specs aren't any major improvement over the status quo. 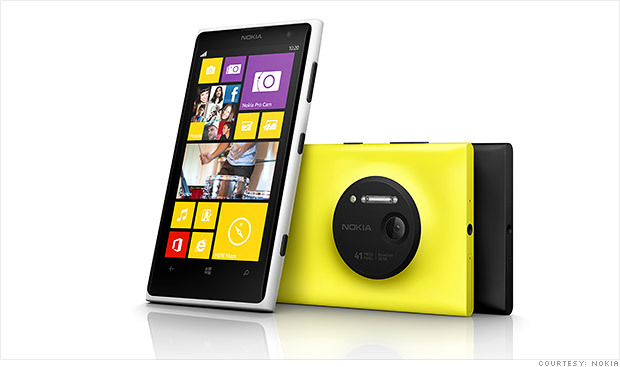 That's Nokia's gambit: There's not much to upgrade anymore besides the camera, so that's where Nokia is throwing down. The 41-megapixel sensor isn't there to provide some insane bump in image quality, and you're not meant to handle 41-megapixel images. Instead, it's meant to replace the zoom function found in most point-and-shoot cameras. With smartphones, trying to capture an object off in the distance usually means settling for a speck-sized representation of that object in the frame or using digital zoom, which adds blurriness and graininess. Nokia's 41-megapixel PureView technology uses those extra pixels to capture details you can't even make out with your own eyes -- but when you zoom, you can later crop the photo and get what you want with little or no drop-off in image quality. If you don't want to zoom, the PureView camera will use all that pixel power to "oversample" (meaning it will capture the same pixel area multiple times and combine the best parts of each one) and generate a 5-megapixel image with added clarity and detail. It's a noticeable boost in image quality, and applies to video as well. To support this blinged-out camera, there will be apps from both Nokia and third-party developers. Nokia's excellent Pro Camera app allows full manual control over your images, with an intuitive interface that gives quick access to settings including exposure, ISO, shutter speed and white balance. On stage at the new phone's New York unveiling, Nokia CEO Stephen Elop made a vague reference to Hipstamatic allowing uploading to rival photo app Instagram (owned by Facebook ) -- a wildly popular service that has no official app for Windows Phone. 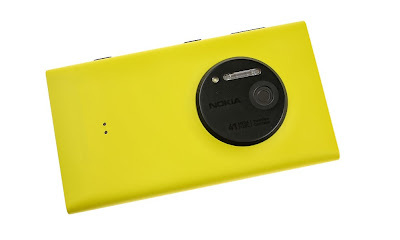 Offstage, Ignacio Riesgo, Nokia's head of app relations for the Americas, confirmed that Nokia worked with Instagram to get this feature on the Lumia 1020, but he couldn't offer any other details on when an official Instagram app might appear for Windows Phone. Using the Lumia 1020's camera confirms that the zoom functionality has strong potential. In an area with full natural lighting -- or with the aid of the excellent xenon flash -- you can use the digital zoom to crop in tight on a subject five to 10 feet away with little noticeable image degradation. But the real kicker come in the post-processing. If you choose to crop an image after the fact, Nokia uses a feature that it calls re-framing. Instead of letting you choose a section to zoom in on and deleting the rest of the photo, it will create a locked-in zoom setting for a photo, and leave it that way every time you view it -- but it won't delete the parts of the photo you can't see. If you decide you want to revisit the full photo later, you can simply tap a button and re-frame the shot. Long story short: This has the potential be a photographer's smartphone dream. But whether or not this is the Nokia phone to buy still (still!) remains to be seen. Windows Phone 8.1 has yet to be released, and it will support a beefier processor than the dual-core Snapdragon Nokia is using here. While you won't notice the extra power in general use, a quad-core processor could come in handy for quicker processing of these PureView images. 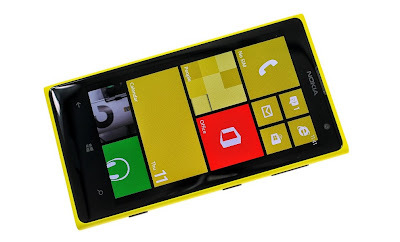 Nokia CEO Stephen Elop confirmed that Nokia will have a another major phone launch later this year.